The PA Life website was founded in 2012 as a simple blog dedicated to creating passionate PAs who want to make a difference in the world and affect positive change within themselves and in their communities. We are, as all healthcare providers should be, patient advocates. We see the profession not as a job, but as an opportunity to fight passionately for what we believe, but remain open to learning and growing. To be committed to helping people grow, deepen and behave more effectively in the world. Although the site has grown a lot, the mission hasn't changed a bit. I publish new blog posts weekly (at least I try to 😀 ). You can find all my latest posts by clicking here. Where are you on your PA journey? 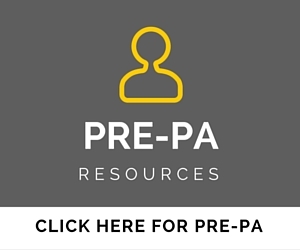 Click in the box below and bookmark your personal resource page with content geared specifically for you wherever you are along your PA path. Whether you a perfecting your PA school application essay, finalizing your resume/cv, preparing for your first PA school interview, or studying for your PANCE or PANRE board exam, I have put together a collection of services to fit every budget and an ever-growing number of needs. 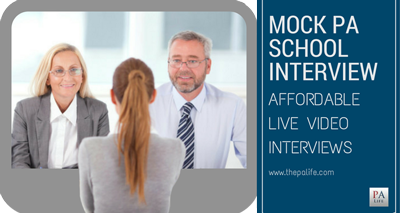 You will then have a 45-minute mock interview with your consultant. We use ZOOM web conferencing software which will alert you by email and text 24 and 48 hours before your interview and requires no additional software or technological expertise to use. It works from any browser with just a click of a button via the link we send you in your welcome email. The consultant provides feedback after the interview. You will receive a link to watch and review your recorded interview. You’ll then have the opportunity to interview more times with your consultant based on that feedback, and receive additional feedback and advice on how to improve. Don’t have a webcam? No problem, our software allows us to perform the interview over a phone or with only a microphone. 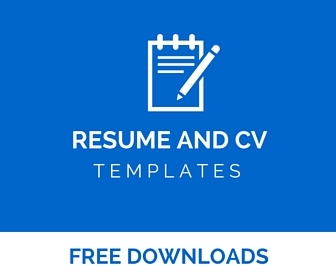 You can do this on a tablet, PC, Mac, Android or iPhone; the point is you don’t need a dual degree in electrical engineering to begin your interview. It just works. 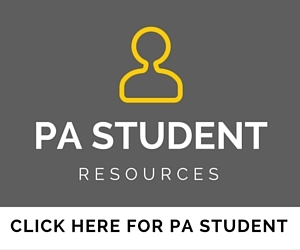 The Physician Assistant School and Program Directory is my FREE, comprehensive and interactive guide for prospective PA school applicants and graduate students, used to find information about every available PA program all in one place. This directory uses location-specific, categorical search and is updated for accuracy every 6 months. You can search by program length, tuition, degree type, GRE requirements, prerequisite healthcare experience, GPA, CASPA participation, class size and much much more. Try the new interactive PA Program Match tool to narrow down your search using multiple categories in real time! 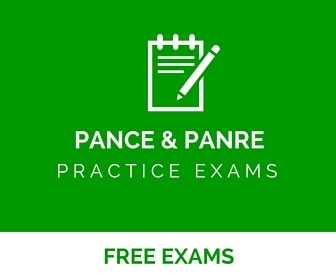 Instant access to Five Comprehensive 250 Question PANCE and PANRE Practice Exams which mirror what you will see on exam day. Ten topic specific exams covering Cardiology, Pulmonology, Gastroenterology, Musculoskeletal, OBGYN, Psychiatry, Neurology, Dermatology, Hematology & Infectious Disease and Endocrinology. Five exams built from the amazing PANCE and PANRE email series. Two more 250 question PANCE and PANRE Practice Exams that mirror the real thing. A 5 Hour “Virtual PANCE” and 4 Hour “Virtual PANRE” Practice Exam! 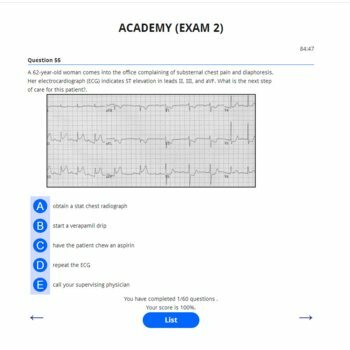 Four sixty question Advanced Practice Exams with Interactive Video, Photos, Links to Outside Resources and more! The Academy is an amazing value and if you are studying for your PANCE or PANRE the exams alone will prove invaluable. 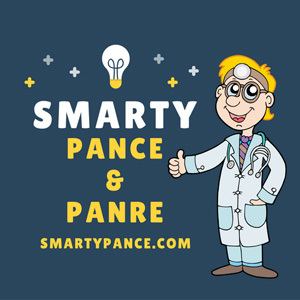 SMARTYPANCE.COM is my new iteration of the Academy and has been built from the ground up with one thing in mind – to follow the exact NCCPA™ Content Blueprint. 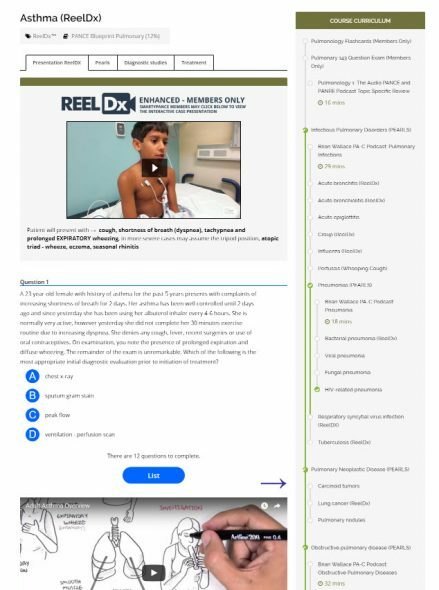 Follow along with integrated ReelDx™ video lesson (very cool) and enjoy all the exam content with a new and improved user interface. Thirteen blueprint topics with over 467 lessons and 1,000’s of integrated board review questions, quizzes, and flashcards. You don’t need to know everything on exam day so why not focus only on what matters! The 2019 NCCPA™ PANCE Content Blueprint is made up of 14 organ systems (ranked by percent of exam content) along with 105 subsections (within each organ system) and 482 diseases/disorders. 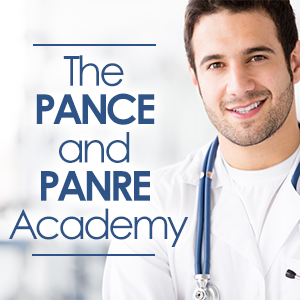 Get 60 days of FREE PANCE and PANRE Board Review Questions & Answers delivered daily directly to your inbox. It is a great and fun way to learn. 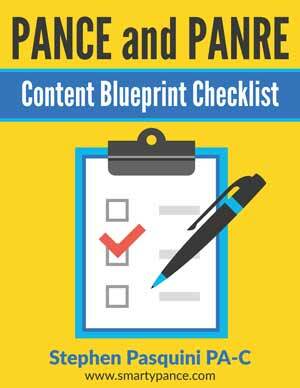 This is a complimentary set of 80 Interactive PANCE and PANRE Board Review questions. This is a wonderful way to test your knowledge, and best of all it’s totally FREE! 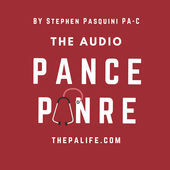 The Audio PANCE and PANRE is an audio board review series that includes 10 Multiple Choice PANCE and PANRE Board Review Questions in each episode. You can download and listen to past FREE episodes here, on iTunes or Stitcher Radio. You can listen to the latest episode, download the transcript and take an interactive quiz by viewing the podcast specific post. You can see these here. This is a one of a kind, completely personalized review and editing service, formed by a team of professional writers. Behind closed doors within a private secure network using Google Drive. Completely interactive meaning we will be able to provide real-time comments and corrections using the Google Drive interface. We will provide feedback, advice and help with brainstorming and topic creation. 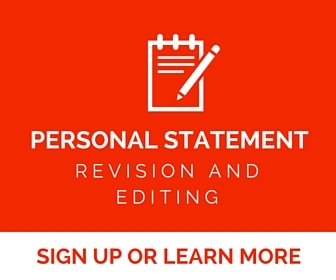 We will offer unlimited revisions and help you make edits. We will do a “final touch up” before the big day, to make sure your essay is 100% free of unacceptable grammatical errors. Our goal is not quantity, but quality. We want only serious applicants, who are serious about getting into PA school. As part of the PA School application process, I urge all applicants to join both the AAPA and their local state constituent chapter of the AAPA. 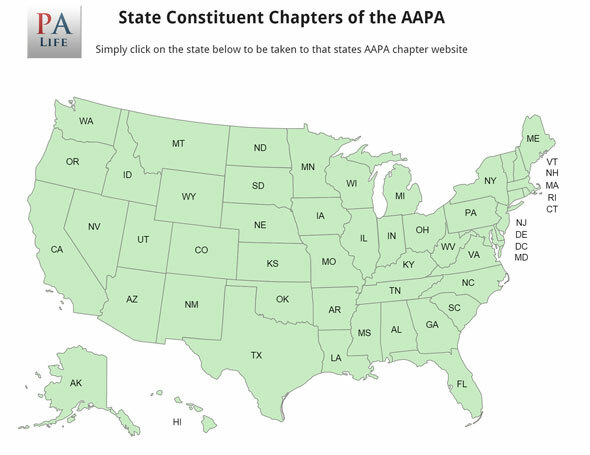 To make the research process a bit easier, I have created a clickable map of all 56 AAPA State Constituent Chapters including direct links to their websites. 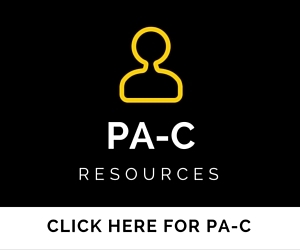 “PAFLIX” is my attempt to bring all the newest and most amazing Physician Assistant video resources together under one roof: Covering everything from PA specialty practice, useful advice on the PA school admissions process, student resources as well as PANCE and PANRE pearls and test prep. The goal is to help you learn more about the PA profession, specialty practice, and student life. You will discover new video content specific to test prep for both the boards as well as post rotational exams and study tips. You will also have the chance to meet some many of the amazing PAs out there working hard and doing spectacular work. Brian Wallace PA-C runs a website and podcast that focuses on topics covered on the PANCE and PANRE. Check out his site, the podcast is great as well! From a PA Tumbler blog with a hidden gem of great study guides (look at the links in the sidebar). I have compiled his study guides into my own dropbox folder to simplify the process. It includes things such as this simple yet brilliant Orthopedic Cheat Sheet. PA Shadow Online: Find a PA to shadow, or become a PA to shadow. This is such a great idea! Picmonic: Better than flashcards, Picmonic is the study tool of choice for learning thousands of the most difficult to remember and most frequently tested topics, board exam prep and more. 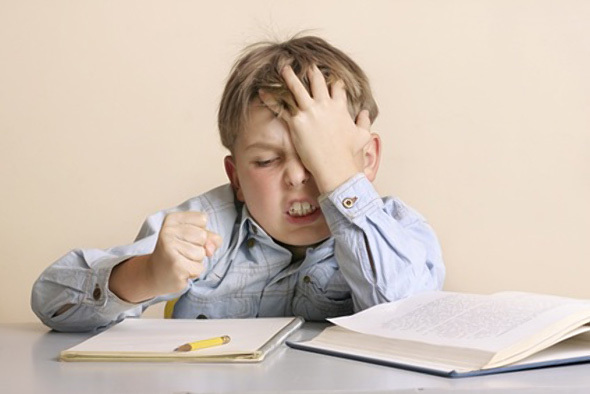 Research shows that studying with Picmonic resulted in a 331% improvement in memory retention and a 50% improvement in test scores. Rosh Review: A killer question bank with detailed explanations. Smarty PANCE: Yes, I know, it is my site, but I also think it is an incredible resource, with rotation exams, quizzes, PANCE, and PANRE prep, audio and video lectures... and the list goes on. Medbullets: Beautiful, succinct summaries and millions of questions with customizable Q-banks. Osmosis: These videos are so good they will make you cry! Honestly, they break down complex topics in a way you will never forget. Geeky Medics is a medical student learning platform that aims to make revision less painful and more productive. Patients Like Me: An amazing idea: Bring patients together and let them document their symptoms and what helped. This is set to revolutionize the way we do healthcare! The Stanford 25: Demonstrate one or more of the 25 technique dependent physical diagnosis maneuvers, then have the residents perform, demonstrate, perfect and show us how they teach. This is a cool site! RxAssist: A wonderful resource for free and discounted medications for patients. Search by medicine to find discounted pharmacies. This tool is priceless! Free Medical Spell Checker For Microsoft Word, Custom Dictionary: You will be typing a lot of medical papers in your lifetime. This free custom dictionary by civil engineer and medical transcriptionist "Raj" is wonderful. Just follow the instruction on the page, it is easy to install. I also use Grammarly, which offers a feature-rich set of spell-check and proofreading options in their free web app. They also have an MS Word plugin that will take your spellcheck to the next level. My PA Training: An excellent student site ran by Paul Kubin. He has some excellent books for purchase along with the wonderful PA Insider Podcast. The PA Platform: Run by Savanna Perry a collection of excellent blogs with guest posts and a very active social media presence. She also hosts a wonderful podcast. Beaphysicianassistant: Ryanne, is a prolific writer in the PA space, her blog posts are extremely thorough and well written. This is a must-read for anyone pursuing the PA profession. Reddit: So much good information on here! For practicing PAs subscribe to physicianassistant and for Pre-PAs subscribe to prephysicianassistant. The PA Startup Podcast: Chris is amazing and his podcast is to0. Available on iTunes and wherever podcasts are played. Trust me, I'm a PA Student: As a student Paul, form "trust me I'm a PA student" wrote some of the most detailed blog posts on important topics covering all aspects of our profession. Since graduating he has been blogging less but as an archive, there are still some amazing pearls of wisdom. The Physician Assistant Forum: The "Gold Standard" when it comes to PA forums. I frequent this one often and so should you. Adanna The PA - Just subscribe, enough said! Day with a PA: A current PA student with lots of great advice covering a ton of topics. Pre-Physician Assistant Student HELP: Hasn't been updated in a while but Kelly has some timeless info that I refer people to all the time. 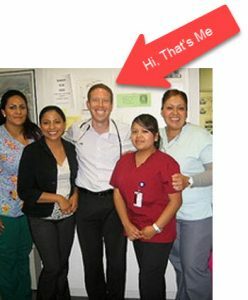 Physician Assistants for Global Health: I am a bit biased since I am on the board. But this website is about to get an update, and it will soon be the best resource for PA's wanting to network with other PA's and work abroad as a PA.
CDC Centers for Disease Control and Prevention: The go-to resource for travel medicine. Partners in Health: The wonderful home of Paul Farmer. If you are interested in Haiti start here. This book is what got me started, if you are interested in global health it is a great read! Health Horizons International: A great place to find volunteer opportunities as a PA or NP. Relief Web: Where is the greatest need for international volunteers? Here you will find your answer. Lonely Planets Free ebook and Maps Page: This link is to download maps to your e-reader. But is a great resource regardless. Feed America: Yes many people in America are without food. This site will be an eye-opener. A developing list of my notes and "stuff"
Dermatology Atlas - is an online source of over 23,000 images of skin disease brought to you by Loyola University. ECG Library is an online collection of realistic-looking recordings that can help clinicians improve their ECG skills. It contains detailed information about how to recognize and interpret abnormal ECG findings. Wheeless' Textbook of Orthopedics is the largest, most comprehensive online medical textbook on orthopedics with 11,000 pages of text and over 5,000 images. Do you want to stay up-to-date with The PA Life and learn about the latest releases, cool freebies and killer tutorials? Then what are you waiting for? Subscribe now.